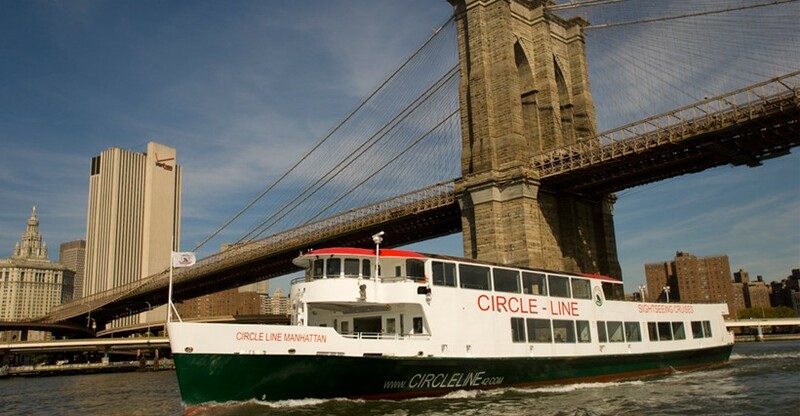 Experience the grandeur of midtown and lower Manhattan with Circle Line’s Landmarks Tour. In this 90-minute fully narrated tour, witness magnificent views of New York City’s majestic skyline and other iconic landmarks, including the Statue of Liberty! 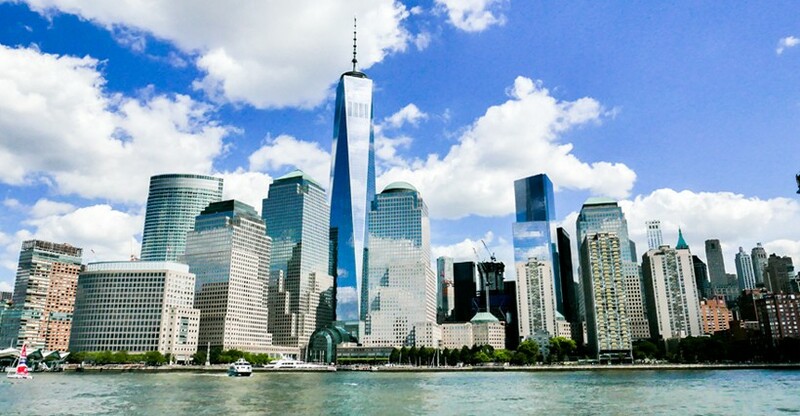 The tour leaves from Pier 83 in midtown Manhattan and passes through famous and historic sites such as the Empire State Building, Chrysler Building, One World Trade Center, and Ellis Island. 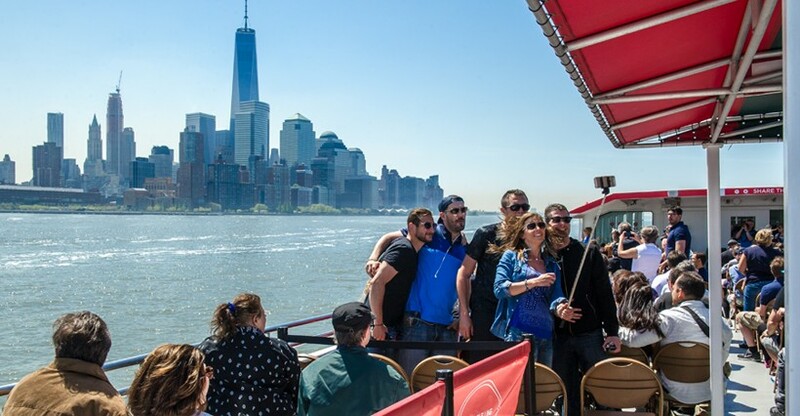 As the boat makes its way towards East River, you can spot famous neighborhoods and sites like DUMBO, South Street Seaport, Wall Street, United Nations and others. 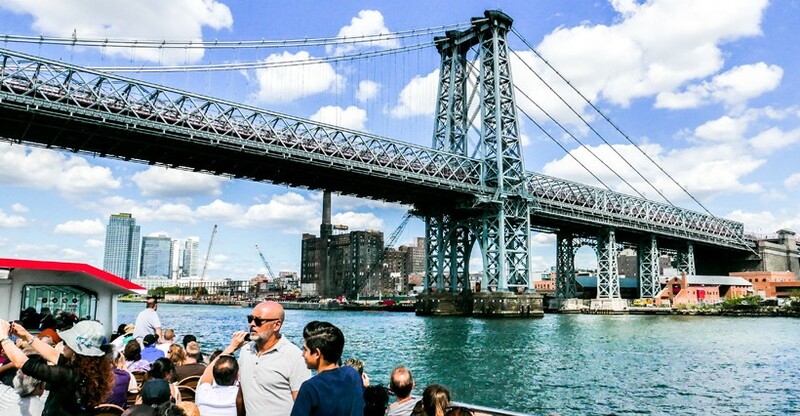 Get you cameras ready because you will soon come face-to-face with three of New York City’s famous bridges – Brooklyn Bridge, Manhattan Bridge and Williamsburg Bridge! This cruise is ideal for getting all your favorite landmarks in the backdrop, making for spectacular photos! Circle Line’s state-of-the-art boats are equipped with an outdoor deck, a climate-controlled cabin, an onboard Café, and even free WiFi. 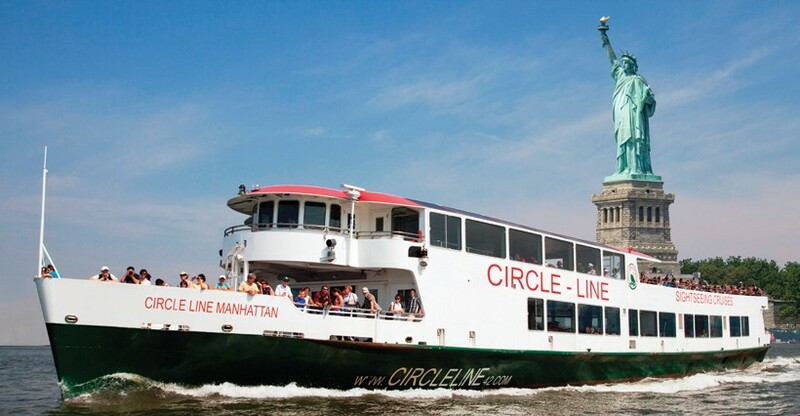 Book the Landmarks Cruise from Circle Line today! "This cruise is very nice. We were given a chance to get our best shot as the cruise gets to go around in circles. You will see New York in a different perspective. From the busy street of New York to a very relaxing cruise on the sea, everything is overwhelming. I never get tired of admiring the statue of liberty." "I am not a fan of cruises. But my friend drags me along to take this cruise. Turns out it wasn’t so bad at all! And because there were too may tourist aboard we cannot get clear shots of some of New York’s landmark. I did not know that the cruise ship will circle back. By then we finally got a clear shot of statue of liberty."